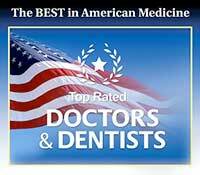 We are pleased to provide intraoral camera imaging as a service at Riverdale Dental Center. Dr. Jon C. Bauman uses an intraoral camera to thoroughly examine your teeth when you come in for an oral health assessment. There are many advantages to the technology an intraoral camera provides. The live camera feed that is displayed on a screen in the examination room helps the both the dentist and you as a patient understand what is happening inside of your mouth. Allowing you to see exactly what the dentist sees helps you to know what treatments may be necessary and why. This also allows you to better understand the current state of your oral health. The intraoral camera also allows for much more precision and better diagnostic power, as it can zoom in many times to offer close-up views of specific areas of your tooth. Zooming in allows the dentist to see much more detail than would ever be possible with the naked eye. This technology allows Dr. Jon C. Bauman to discover many signs of decay or periodontal disease that would otherwise be left undetected. If you have any questions about the benefits that an intraoral camera in Brighton, Colorado, can provide, we encourage you to call or visit our dental office to learn more about this excellent technology.